Soon to be Legacy Day and all the girls and boys of ever After high are preparing for your special day. For example, Ashlyn Ella, wants to be like his mother and decided to do my hair like hers. She also prepared a few dresses and can not decide what she should wear. What do you think, what dress and hairstyle she choose? How to play: in this dress up you can help the girl from ever After high to choose a hairstyle and dress for the Legacy Day. On this day children vspomnyat their fabulous parents and agree to follow them legendary. Played: 20844. Added: 16-11-2015, 01:35. 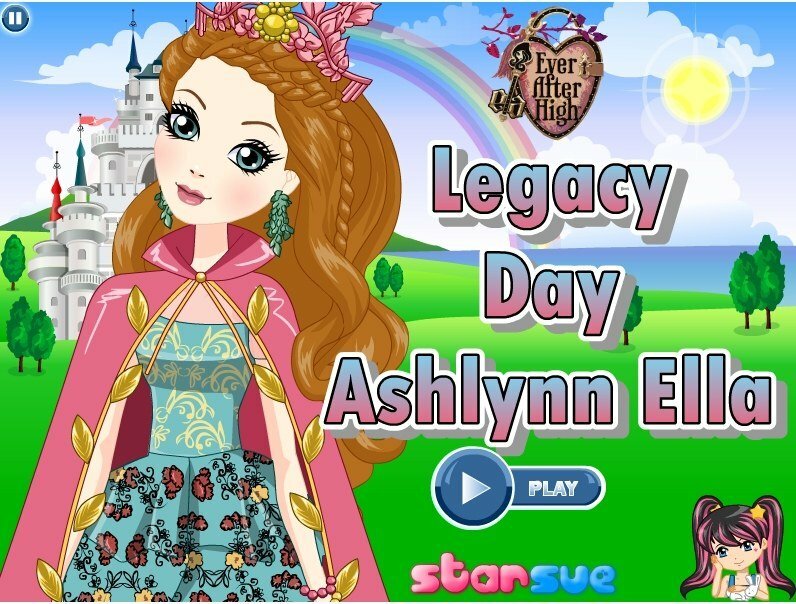 Legacy Day Ashlynn Ella dress up game.